Some of you were probably facing the problem of search engine optimization in Russia, where Yandex is the leader among search engines and, and it is so different from Google. In this article we’ll try to introduce you to Yandex and, in particular, their new algorithm MatrixNet. Officially, the search engine Yandex.Ru was announced at the exhibition Softoolon on Sept. 23, 1997. 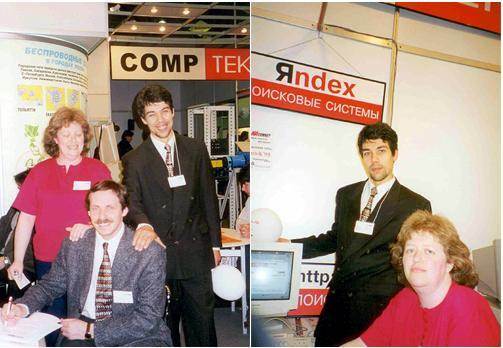 At the photo: Arkady Volozh, Ilya Segalovich, Elena Kolmanovskaya at the Softool exhibition, the day of Yandex founding on September 1997. Arkady Volozh is a Russian mathematician, who was only 24 years old when he saw a personal computer for the first time. There were only a couple of personal computers in Soviet Union at that time. It happened in 1984. Nowadays, in about twenty years, Arkady Volozh is the executive director and co-founder of a leading Russian search engine Yandex, which is estimated at billions of dollars. By 1990 Volozh has already been one of the founders of a company which became the largest computer technology provider in Russia. Though most employees thought of developing the company selling hardware, Volozh firmly believed in the talent and knowledge of Russian specialists. He developed an information search system with a team of five programmers in a small apartment. As the result they have created search engine Yandex (short name of “yet another indexer”) to improve the information search in Russia, what was a really complicated task because of difficult Russian grammar. Management style in Yandex was not typical for Russia: employees walked around the office in T-shirts, organized their schedule themselves, ate in a free buffet and could play billiards and ping pong at work. Common skepticism led to a dizzying success soon. 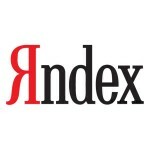 Yandex exceeded Rambler in two years despite it was the most popular search engine in Russia that time. Yandex developers organized their own free wi-fi network with access points across all Russia long before Google started the same game in America. Moving away from being simply a search engine, Yandex created a set of additional services. Russia is one of the only four countries where the position of the American search engine is much worse than of local players. Local search engines are more popular than Google in South Korea and the Czech Republic, besides, in China government controls the Internet. 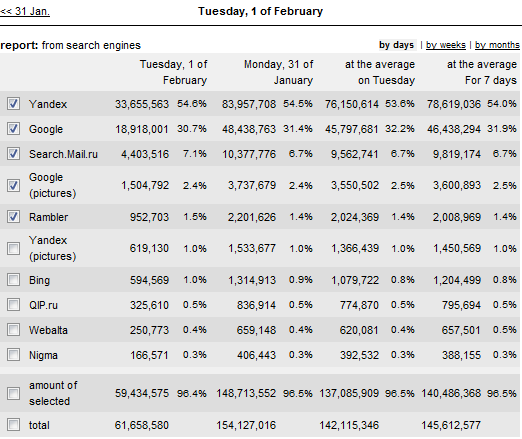 Yandex takes 54% of Russian search market and Google takes only 31%. “We have perfect technologies and good understanding of the market. I review the latest data to understand the level of competition every day, and I think we are still ahead. “- says Yandex’s CEO. Figure 2.Average daily number of visitors from search engines in Russia. Analyzing users’ behavior and their preferences in choosing a search engine, we often ask ourselves: which of the search engines is better? Why do some users prefer Yandex and the others prefer Google? What differences are between these two search engines? Let’s try to answer these and other similar questions. Design is one of the key advantages of Yandex in Russia. Russian mentality is inclined to get the maximum information at once whereas projects and the search engines are close to minimalism on the west. At the moment, Yandex gives the chance to obtain information about the latest news, traffic, exchange rate, weather and has other useful services which interest visitors most of all. Google appears only as a search engine, therefore Russian visitors who compare these two search engines frequently prefer Yandex. 1. City traffic jams and exchange rate. They are one of most demanded services and maybe thanks to them visitors like the system so much. 2. Weather namely in your city. 3. TV Guide. This service is directed more to female audience. 4. Playbill/events in your city. 5. Key news from the Top Russian blogs. 6. The latest news in the World. You don`t need to search news at different news resources. The given search engines differ not only externally but they also have different internal indicators and ranking factors. 1. TIC is assigned to a whole site (not only to a page). 2. TIC depends on subjects of referring resources and it is defined not by quantity of references, but by the sum of their weight. 3. TIC doesn`t influence a site’s ranking, it is designed to organize your site in Yandex Catalog http://yaca.yandex.ru/. The bigger TIC is, the higher your site is in the catalog and therefore more traffic can be obtained from it. 4. 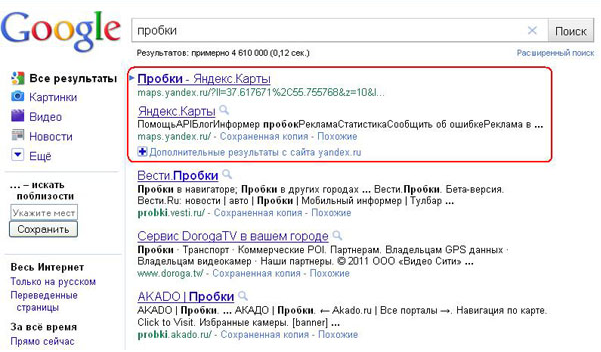 You can easily define resource “trust” in the Yandex search engine with help of TIC. 5. Donor`s TIC doesn’t influence site ranking, it only specifies a site authority in Yandex. We can also observe differences between these search engines during a text keywords analysis. Yandex is strict to a high quantity of keywords in exact match. Even 5 – 6 % of keywords in a text can negatively affect site ranking. Google allows about 12%. Yandex is the most competent in the grammar of Russian language whereas Google not always understands declensions and words changes correctly, what sometimes leads to irrelevant SERP. “Region ” of a user is a very actual ranking factor (Matriksnet). Region of a site is one of the key ranking factors. Nowadays, Yandex allows you to assign about 7 regions at the same time with help of Yandex directory. Or it defines just one region if you don`t register in this directory. This is a Yandex’s feature and it is one more thing that makes users to choose Yandex. 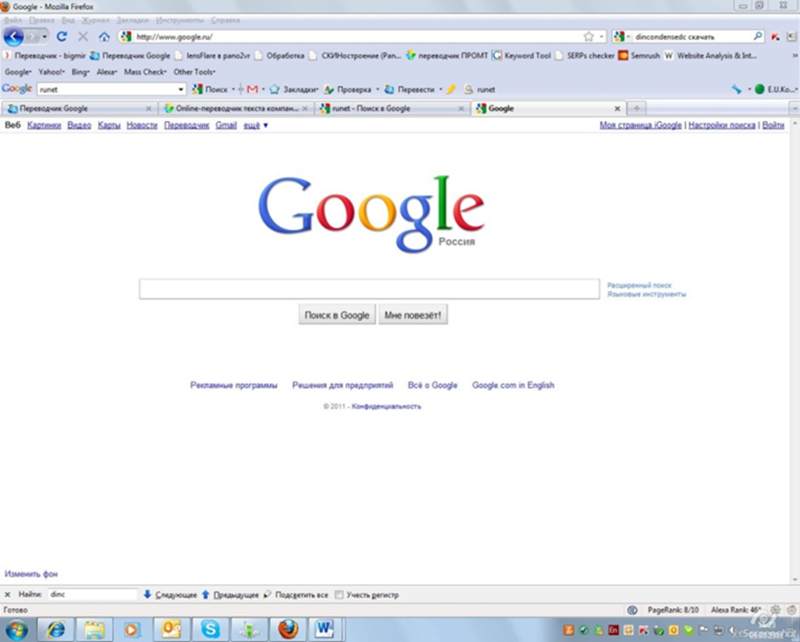 Google.ru doesn’t have such opportunity, whereas Google.com.ua (Ukraine) is actively using this innovation. Recently, Yandex began paying attention more often to content uniqueness and works towards identifying the primary source of content. Now it is difficult to judge how correctly algorithm identifies the main source, but practice shows that it still makes a lot of mistakes. We made an experiment. We posted an article at a news resource. The article had a unique heading and text, but it wasn`t on the 1st place in SERP for this heading, it was only in Yandex Top 10. But Google quickly processed the given material so we could find it on the 1 place at the same day. One of the problems of Yandex indexing is that SERP isn`t updated really often, and all changes can be observed only after updating in the search database (in general it happens once every 5 days). It should be noted that Google is more loyal to “copy-paste” content than Yandex. 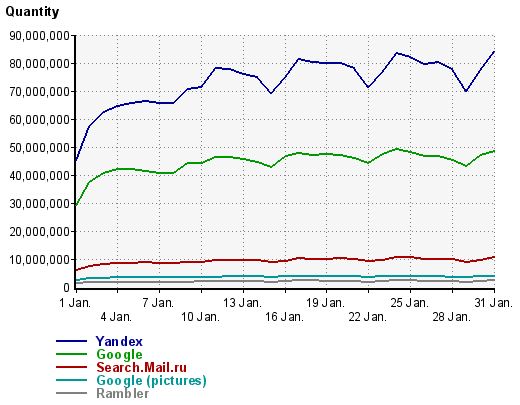 It was noticed, that Yandex doesn`t rank large texts high, whereas Google rank both small and large texts. SERP turned over in the beginning of February 2010. All sites with large amount of text which were in the top 10 just disappeared from SERP. That led to a mass panic, so web masters began to cut texts or simply to close them from indexing. 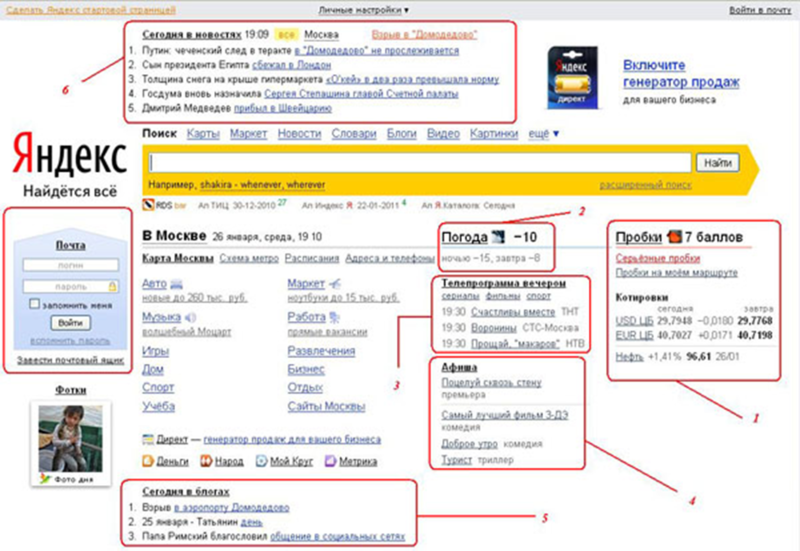 But in May Yandex changed the opinion and we could again see sites with big optimized texts in SERP. Yandex “likes” texts at main pages and, according to statistics, main pages are usually on SERP top. Some comments about paid links detection. Yandex engineers told many times that they were able to detect paid links with a probability 80-90%. But afterintroduction of their new algorithm MatrixNet this percentage seems to be even better. SEOs and website owners could feel it, because old methods of links buying didn’t work anymore. As a result the competitive landscape has been changing completely. Yandex engineers set a large number of different filters to fight SEO. – an average quantity of external links from sites in Yandex is about 400, and in Google more than 550. – it should be not more than 5 external links on a page for Yandex whereas for Google it is ok about 7 – 9 external links. – an average quantity of internal links also is different: Yandex – 61 internal links, Google – 70 links. – an average amount of text at Top pages: 3700 – 4000 characters in Yandex and 3500 – 3800 in Google. Snippets are a headache for Russian-speaking webmasters. Google allows to influence this function, whereas in Yandex they just don`t pay attention to “Description” and generates snippets using relevant content, what often leads to unexpected and sometimes bad results. A row with “Site Search” is used in the first snippet, a line from a footer with copyrights is in the second snippet. This example shows that snippets sometimes are really not attractive. Recently Yandex developers have started to pay more attention to this point and designed special instruments for creation more beautiful snippets presentation in search results. What kind of information can you pass to Yandex? Nowadays you can send: address, contact details, an operating mode as well as options that are specific to certain types of organizations, such as a cost of museum tickets or a number of cinema halls. You may indicate address information and other data in a section “Geography” -> “Addresses and organizations” and it will be displayed in Yandex.maps. In addition these data will be displayed in search results for hotels, restaurants, pizzerias, cafes and coffee shops, bars and pubs, sports bars, cinemas, museums, airports, fitness clubs, supermarkets e. t. c.
Yandex’s webmasters tools are different from Google. They have another interface and another kind of provided information. For example, Yandex webmaster shows external links which lead to your site not sorting them according to pages where they lead. But Google tools show all external links in accordance with a site page where they lead. Yandex ranks sites for keyphrases in URL higher than sites without them. Google doesn’t give such great value to this factor. To summarize, I would like to note that site optimization in Yandex becomes more difficult every day after activating MatriksNet and regional targeting. 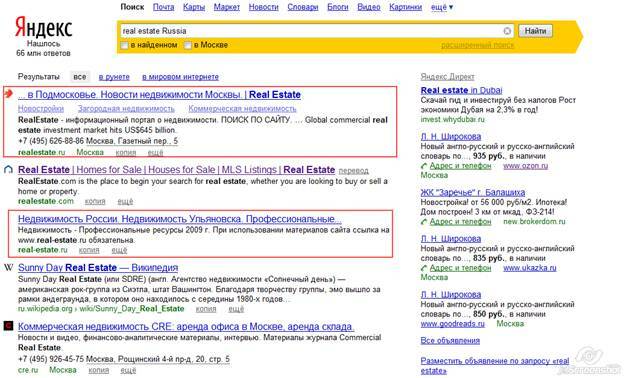 SEO work in Yandex often leads to unexpected results whereas Google.ru is much more loyal and clear in this case.